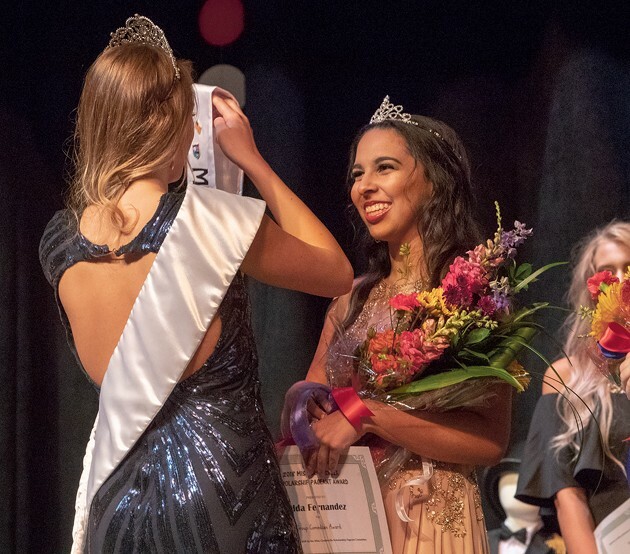 Miss Grantsville 2017 Maklee Cloward crowns Adda Fernandez Miss Grantsville 2018. 2017 1st Attendant Emma Walker puts the tierra and sash on Kenadi Beacham at the scholarship pageant on Wednesday night. 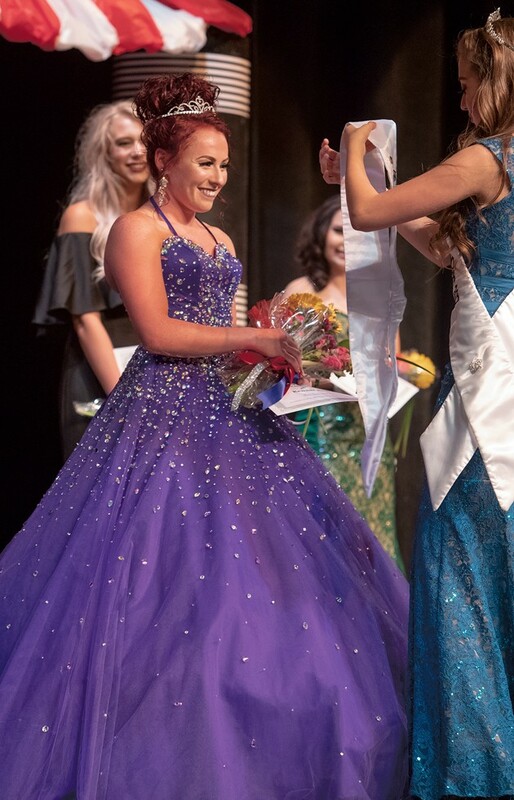 Halle Cartwright takes her place at the front of the stage after being announced as Miss Grantsville 2018 2nd attendant. 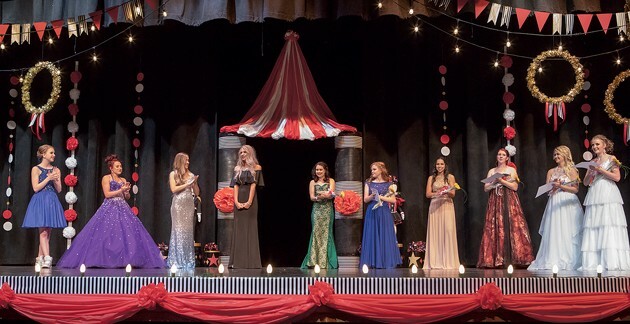 The 10 contestants competing for Miss Grantsville 2018 take the stage after the evening wear catagory. Pictured are Sammy Hansen, Kenadi Beacham, Halle Cartwright, Jordan Waite, Autumn Wade, Alexandria Wood, Adda Fernandez. Kylee Wheeler, Mackenzie Toone and Sierra Leavitt. 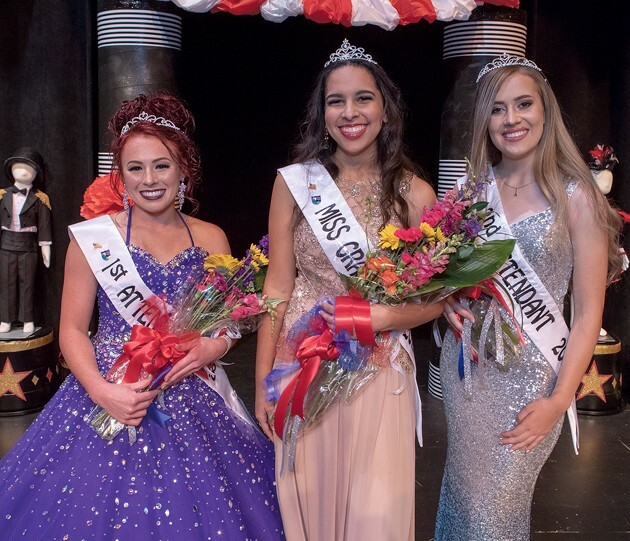 Adda Fernandez won the 68th annual Miss Grantsville Pageant Tuesday night in Grantsville High School’s auditorium, with Kenadi Beacham as first attendant and Halle Cartwright as second attendant. The winners were selected by a panel of judges based on a review of their submitted paperwork, an interview, answering an on-stage question, attitude, the performance of a talent and a walk in a formal gown. The other contestants were: Sammy Hansen, Sierra Leavitt, Mackenzie Toone, Autumn Wade, Jordan Waite, Kylee Wheeler and Alexandria Wood. 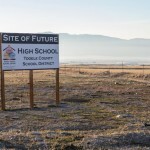 The new royalty serves as representatives for Grantsville for the next year and will participate in several community and other related events. 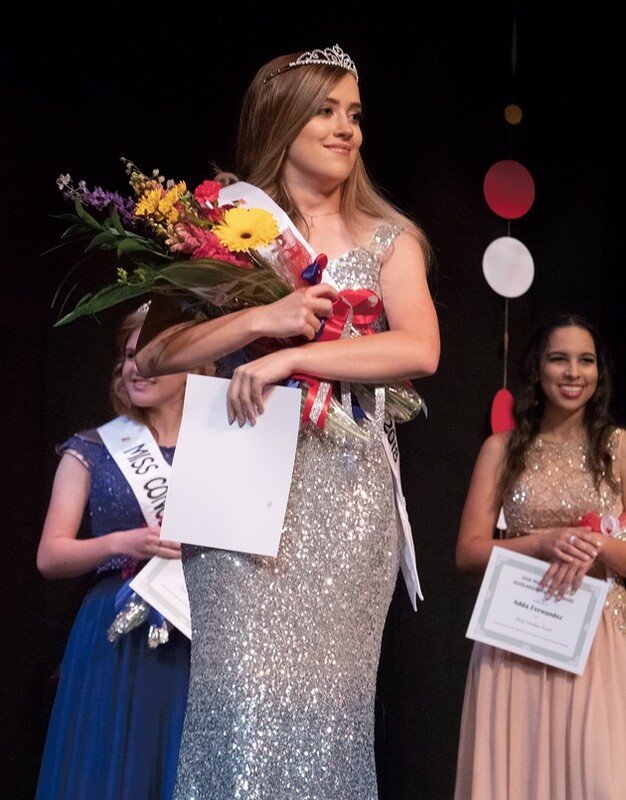 The pageant’s organization is a community-based volunteer effort that provides a $1,750 academic scholarship to the winner and a $750 scholarship to each attendant. The contestants, who range in age from 16-23, are required to submit a packet of paperwork, and must meet minimum GPA and other standards.